Big Top Arcade Features the Latest and Greatest Games for every generation! 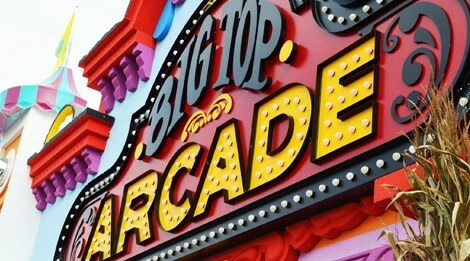 Big Top Arcade Features the Latest and Greatest in Games, Prizes and Technology. Come and play under the Big Top, our very own circus-themed indoor arcade located in Pigeon Forge. Play any one of our state of the art games, earn tickets, and win amazing prizes. We use re-loadable play cards, no tokens, no tickets just endless amounts of fun for guests of all ages.